civil ceremony or a “religious” ceremony. 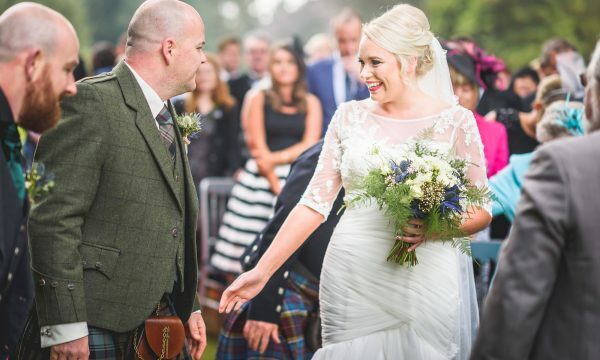 Friars Carse Hotel is licensed for Civil Marriages, Civil Partnerships and Naming Ceremonies in two rooms allowing you to relax and enjoy your special day in this enchanting location. 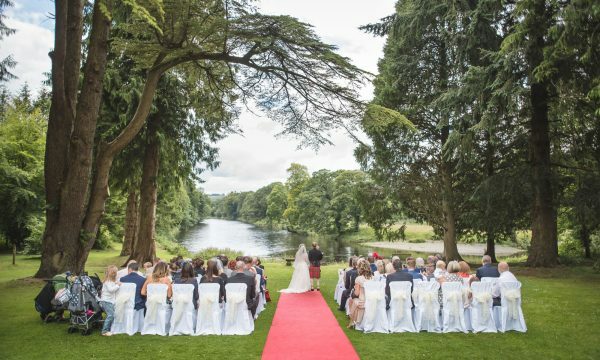 If you dream of a stunning riverside or woodland wedding setting, we can offer you the most charming of romantic settings – just come and have a look for yourself. Friars Carse Hotel can be booked 7 days a week for civil functions. Please contact the Wedding Department for availability as terms and conditions apply. Dumfries and Galloway Registration Service (01387 260000) licenses the hotel’s civil functions i.e. Civil Marriage, Civil Partnership and Naming Ceremonies. Should you book your Civil function in the Nith Room and require use of the Whistle Restaurant for the meal and evening function, the charge will be at the price of the Whistle Restaurant – see ‘Wedding Venue Facilities’ for rates. If you wish to hold the wedding breakfast in the Nith Room, the ceremony will be held in Friars Carse Lounge. We can cater for a drinks reception, a meal and evening function to follow on from your Civil function. 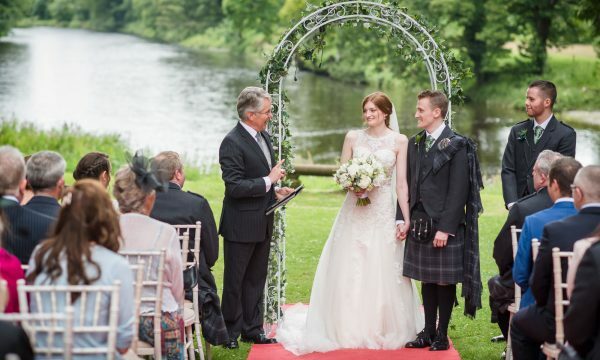 Choosing to be married by a ‘religious celebrant’ allows more flexibility for your ceremony. We have a selection of recommended local wedding ministers who would be delighted to serve you. They’re also available for marriage blessing/renewal of vows and baby naming/blessings ceremonies. Our religious celebrants are legally able to conduct weddings anywhere, so you can choose any suitable part of the hotel or grounds. Once booked, they will work with you to make your ceremony just the way you want it to be. You don’t need to be a Church-goer or even consider yourself religious, although they do normally mention God as part of the ceremony. They’re popular with many couples and not at all ‘stuffy’! A Minister’s fee is normally payable directly to the celebrant, normally in the region of £170. There’s also a payment of £70 due to the Registration Office which covers the preparation of legal documents and registration of the marriage. 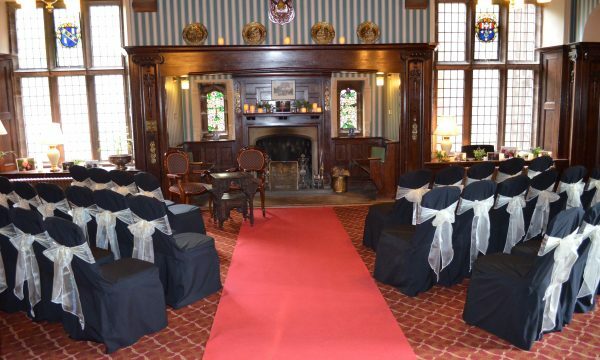 Friars Carse Hotel can be booked 7 days a week for religious ceremonies. Please contact our Wedding Department for further details and their recommendations or to ask them to book a minister for you. If you already have a minister, you can, of course, bring them with you instead, so long as they are licenced to solemnise marriages in Scotland.